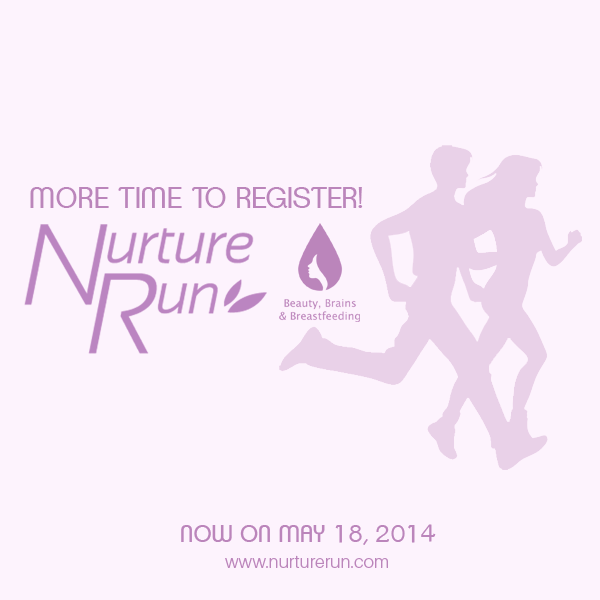 Nanay's Trip blog giveaway breastfeeding May 18 is Nurture Run Day! Nanay's Trip Blog Giveaway Winner! May 18 is Nurture Run Day! Nanay's Trip Blog Giveaway Winner! Finally, I'm announcing the winner of two tickets and race kit to Nurture Run 2014. Congratulations to Mommy Sally Abella-Yu, The Binondo Mommy! 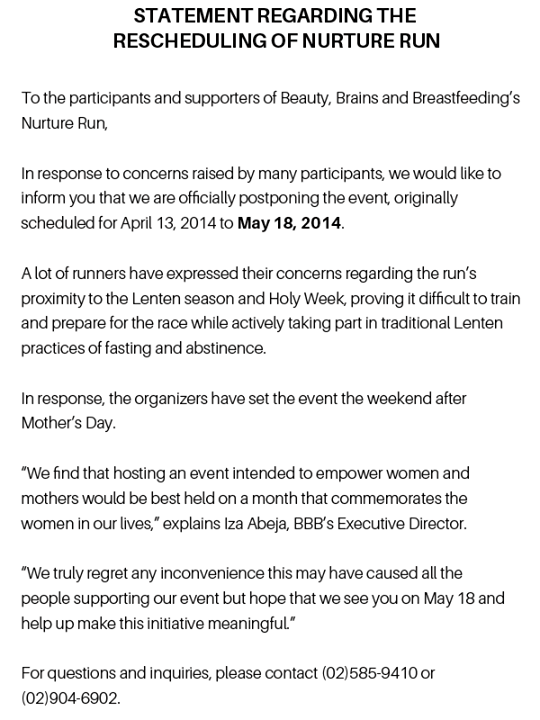 Read her very inspiring insights on breastfeeding and the reason why she wants to be part of Nurture Run 2014. I want to be part of Nurture Run because the run is for a cause that is close to my heart, Breastfeeding. I have been breastfeeding my daughter for almost 16 months now and that I'm proud to be one happy breastfeeding mommy. I'm proud to overcome the early breastfeeding struggles and all I can is that it is worth my effort and sacrifices. It might be difficult on the first few months but just think of the long term benefit and the investment. It's by far the best gift that you can give to your child. I am pro-breastfeeding and have been an advocate since then. So far, I am already experiencing the benefits of breastfeeding by having a healthy and smart kid. And that made me more convinced and decided to go beyond two years. Best of all, breastfeeding is totally free and hassle-free! With this, I want to help build awareness for breastfeeding especially during emergency and in the workplace. Thanks for joining Mommy Sally! Have a happy run and advanced happy mother's day too!